When my train finally rolls into Ostrava station around 9 o’clock in the evening it’s dark and cold. The station square is abandoned, only some trolley buses are waiting. An arriving tram brings in some passengers who quickly walk into the station. I try to ask the tram driver how to get a ticket, but he does not respond. A lonely traveler on a bench points to a yellow device which I had previously passed. It looks in everything like an old pay and display machine. You choose the type of ticket, throw in some crowns and you get a ticket. It looks reliable and infrangible. Reassured I get on the tram, where I am surprised to see a NFC reader for credit cards. Technology we have been waiting for in the Netherlands for years. And so I am more often surprised during this trip, seeing developments on which the Czech Republic is lagging behind, but also advancing. It is at the end of March and I am in the Moravian-Silesian region of the Czech Republic. In a corner of the country, clamped between Slovakia and Poland. The capital of the region is Ostrava, almost 300,000 inhabitants. The second city of the region is Opava, almost 70,000 inhabitants. Both cities participate in RESOLVE, a project supported by the European Union through Interreg Europe. RESOLVE deals with two urgent challenges in European cities: the declining retail sector and the increasing need to reduce CO2. The retail sector is and sees itself highly dependant on cars/road transport and policy makers aim to drastically reduce carbon emissions. Moreover, retail and mobility are still separate policy fields, with little attention to their interaction. In RESOLVE the partners are ‘resolved to find ways to resolve these differences’. The objective is to reduce carbon emissions created by retail related traffic in town and city centres while also supporting jobs and growth in the local retail economy. 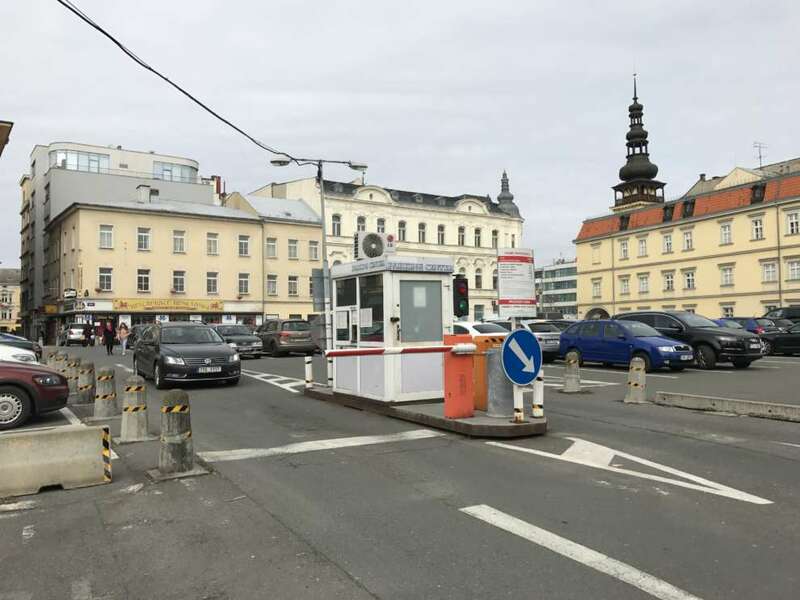 At the request of the municipality of Roermond – driver within RESOLVE – I participated in a peer review in the Moravian-Silesian Region, specifically the cities Opava and Ostrava. Central question from both municipalities concerns the introduction of P+R facilities. Both cities are university cities, Ostrava has 3 universities, Opava 1. Ostrava has been transitioning from a heavy industry and mining city to an engineering, IT industry and automotive industry since the 1990s. Opava is a historic city which was almost completely destroyed in WWII. Opava revolves around culture and was the bureaucratic heart of the region for years. With our team of experts from Poland, Sweden and The Netherlands we started in Opava. We focussed on how we could stimulate the local economy, how we could develop a comprehensive parking vision, how we could reduce through and search traffic in the city center and revert the declining trend in public transport use. We also focussed on how we could increase the use of bicycles to the city center. Quite a challenge. In Opava the main question for the local government was the development of an overall vision. What type of city would Opava like to be, who do we want to attract and how would we like them to travel to the city center. During the discussion we commonly agreed that apart from vision and target groups enforcement of parking regulations but also parking norms – for new developments – are key elements. 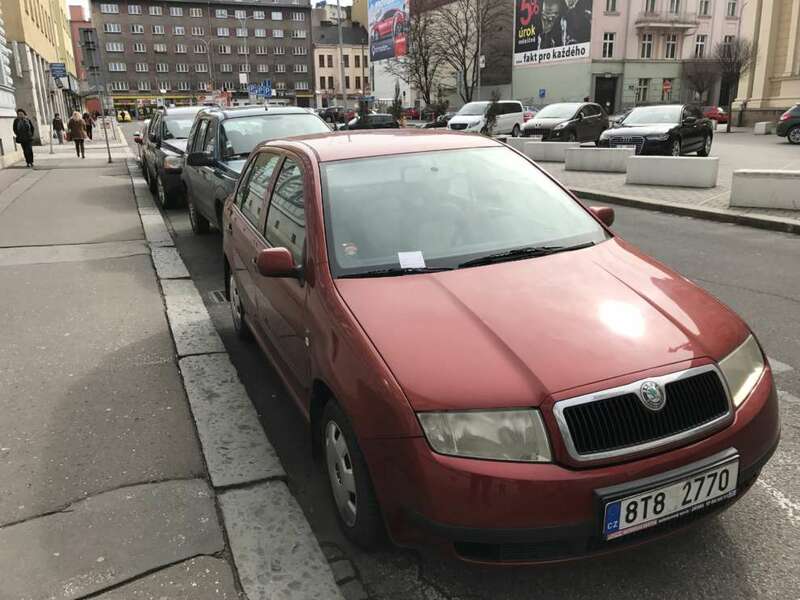 Free parking does not exist. 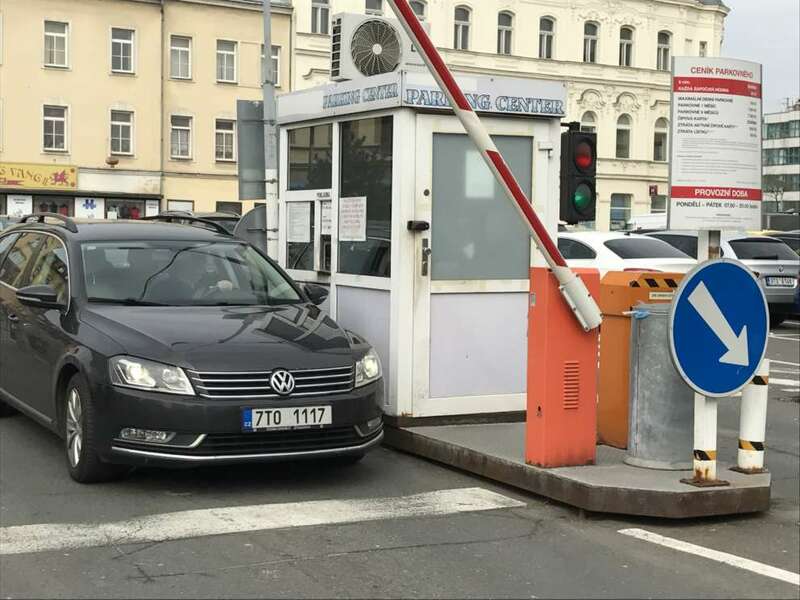 The question if it was time for Opava to implement Park and Ride facilities was simply answered by the team with: “maybe something for the future”. In relation to mobility and retail we concluded that policy decisions must not be based on emotions, so the city must coöperate with retailers to find out if reducing car use in the city center would affect business and in what way. We adviced to reduce or ban through traffic in the city center to improve livability and stimulate anternative modes of transport, like bikes and public transport. With good access to the current parking facilities and excellent public transport the city should invest in improving the image of public transport, introduce shared spaces and attractive bike routes and bice park facilities. Opava is on a turning point in it’s history with all assets for a bright future in the hands of the local municipality and the retailers. A compact city center with enough commercial space, a very good public transport system, lots of green areas and the overall vision that now is the time to start planning for that bright future. In Ostrava we faced a different challenge. Ostrava is a metropolis with 23 city districts and some 300.000 inhabitants. The city recently developped and is implementing a sustainable urban mobility plan (SUMP). Ostrava was mainly interested in (funding of) park and ride facilities and was looking for the relationship between park and ride and parking facilities in the center, but also the relationship between park and ride and public transport. We adviced to implement one common policy for the whole city, no differences between the 23 city districts. The price strategy should be clear, both towards customers and towards the different parking solutions (on street, P+R and inner city parkings). Concerning P+R we discussed the basic criteria for a successful P+R: “The success of P+R is dependent on being cheaper and/or faster than parking downtown, and/or parking downtown is impossible”. This implies good pricing and frequent, safe and convenient public transport. As the city is thinking of investing in new roadside dynamic information signs we adviced to consider the use of these signs and the alternative use of open data in relation to apps on smartphones and incar-navigation. These two packed days are remarkable. On the one hand is was good to be able to bring information to these cities, on the other hand I learned a lot. This is always the case when you step out of your comfortzone and start exploring how other people, cities, nations are dealing with the parking issues. Also the connection with broader themes like public transport was an eye-opener. These Czech cities have excellent public transport. They operate electric busses we are just dreaming of. The possibilities a tram and trolleybus network offers are tremendous when it comes to a sustainable public transport, and they are exploring this already. 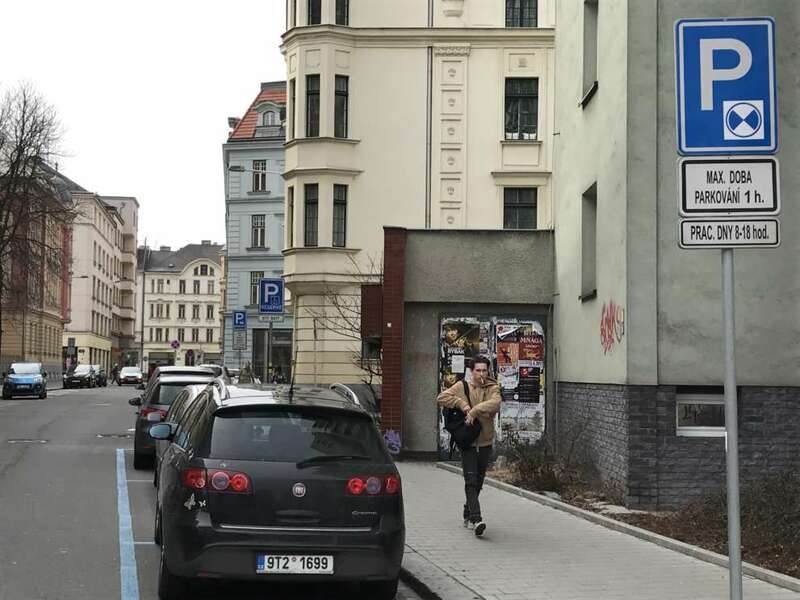 It could well be that cities like Opava and Ostrava will be leading us to a new form of parking and accessibility of inner cities. So when I took the tram to the railway station for a 10 hours travel home, I looked with different eyes to the local infrastructure, realizing that the odd yellow ticketmachine was just a well and efficient working reminder of the past. Would you like to learn more about the RESOLVE project? Send an e-mail to ariepijp@spark-parkeren.nl or call me on +31 70 317 7005.